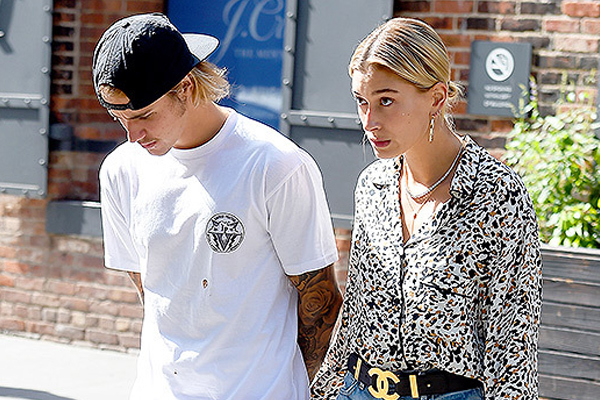 MUMBAI: Singer Justin Bieber and television personality Hailey Baldwin were looking rather romantic despite neither confirming they are dating again. While the duo is keeping silent on their relationship status, they were photographed holding hands leaving Cipriani's on Thursday wearing coordinating black outfits, reports people.com. The two looked very much like they were on a date even sharing a dessert at the restaurant with the model opting for a spoon to eat a cake while the "Sorry" singer dipped his finger in and licked it off. Bieber, 24, wore a casual black shirt, basketball shorts and a black baseball cap, while Baldwin, 21, wore an oversized leather jacket with her hair in a neat braid. A source denied to people.com that the two were a couple, but they were spotted getting cozy in the city earlier this month. "He is single and not dating anyone seriously," said the source previously. Bieber was last linked to on-again, off-again flame Selena Gomez, 25. They began to rekindle their relationship in the fall after she broke up with The Weeknd, but they pumped the brakes on their reconciliation in March. "Justin has no contact with Selena now. He seems fine with it," said the source. MUMBAI: Rapper Lil Dicky has unveiled a star-studded music video featuring singers Justin Bieber, Ariana Grande and Miley Cyrus. Lil Dicky has dropped his new music video for Earth. MUMBAI: Singer Justin Bieber took a dig at his fellow Canadian singer Shawn Mendes after the Treat You Better hitmaker posted a magazine cover that had prince of pop written on it.